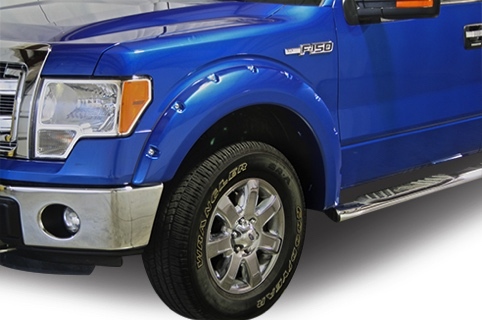 True Edge Products is a line truck and SUV line of fender flares. 3 distinct styles of flares with each style offering it’s own unique size and look. True Edge flares are available in 4 finishes that give you the tough off road finish all the way to an OE look. True Edge offers over a hundred applications for the most popular trucks and SUV’s with more applications on the way. View our interactive design browser! Our 4 styles of flares offer you a complete line-up of flare choices. Rivetz offers the extreme 4x4 Offroad look with deep pockets and stainless steel rivets. Streetz are simpler, smaller style flares with minimal tire coverage that give you a custom yet reserved look. Sportz are a clean, OE style flare that follows factory lines and styles for a sharper, more reserved look. With 4 types of finishes you can choose the right look for your truck. Our Smooth finish is glossy black with a very light texture that is perfect for painting. Textured finish offers you the fought, rugged look that looks great unpainted. Matte Smooth is the standard finish that's available on our Sportz flares that looks great unfinished or painted. All of our smooth flares can be painted to match your vehicle color to give you the ultimate custom look. True Edge has applications for the most popular trucks and SUV's. We have flares for the Chevy Silverado, Ford F Series, Ram, Toyota Tundra and many more. Not only do we cover the most current year models but we go back 2-3 generations depending on the make and model. If your order is shipping to a location in the United States, excluding Alaska and Hawaii, you never pay ground shipping charges. 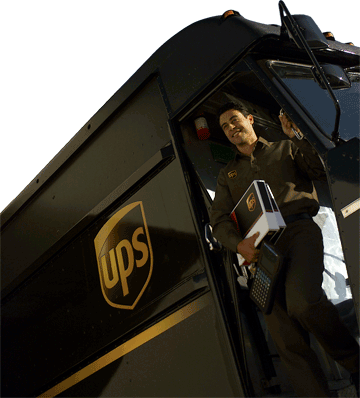 If your order is shipping to Alaska, Hawaii or another destination around the world we offer some of the most competitive shipping rates in the country. Need a set of flares painted to the vehicle color and need them fast? We ship all in-stock painted flare orders within 72 hours so you don't have to wait. All True Edge Flares feature our Exclusive Lifetime Warranty on the flare and paint. Visit our Warranty Information page to learn more about our industry-leading warranty. All of our True Edge Products flares are made from OE quality ABS plastic and molded for a precise, tight fit. Our plastic is resistant to UV rays and fade and if properly maintained will look great for the life of the vehicle. Our flares feature our deluxe mounting hardware kits that include easy to understand instructions. Our hardware kits also include stainless steel rivets and weatherstripping that features 3M red-liner tape. We never charge you more for "Tri-Coat" finishes, or for colors that use the more expensive pigments. Our simple "one-price for paint" means you never get a surprise charge on your invoice. 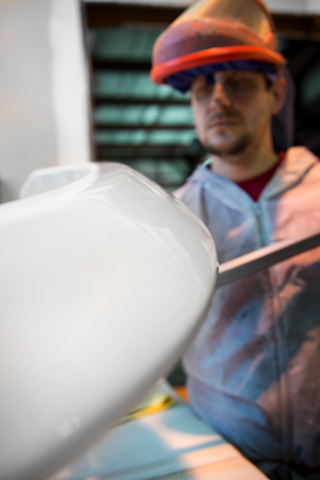 True Edge uses only high-quality PPG basecoat / clearcoat finishes. The same finish used by many of the OE vehicle manufacturers. True Edge Products warrants all products and paint with a Limited Lifetime Warranty against any defects resulting from workmanship or material. This warranty applies to products used under normal conditions for the purpose they were intended. This warranty does not cover normal wear and tear, damage from modifications to the product, vehicle accidents, misuse of the product, improper care, negligence or the installation of other accessories. True Edge Products shall not be liable for direct, indirect or incidental damages from the use of our products. If True Edge Products determines that there is a defect in any of our products, True Edge products will replace the product with the same product, or at our discretion refund the product purchase price. True Edge Products will match the OE paint color to factory specifications. Factory specifications allow for a degree of variance both lighter and darker due to many factors. True Edge Products will not be liable for any variances in paint color match. With vehicles 3 years or older, True Edge products will not be liable for color match due to fading or oxidation of the vehicle paint.